There are many benefits to planting native species of grasses and forbs. If you are trying to restore a habitat, there is nothing better than planting the species that the local fauna has adapted to over generations. The Atascosa Texas Grama is a blend of 4 collections from the Rio Grande Plains. It is a low growing dense bunch grass that can establish quickly on soils that have been disturbed. It matures several times per year after rainfall. Atascosa will flower and produce seed throughout the year and frequently reseeds itself. This grass is mainly used for restoration purposes. Establishes cover quickly on disturbed sites and is used for right-of-way seeding, rangeland restoration, and wildlife planting. The Catarina blend of bristlegrass is comprised of collections from Webb, Karnes, Bexar, and Willacy counties. 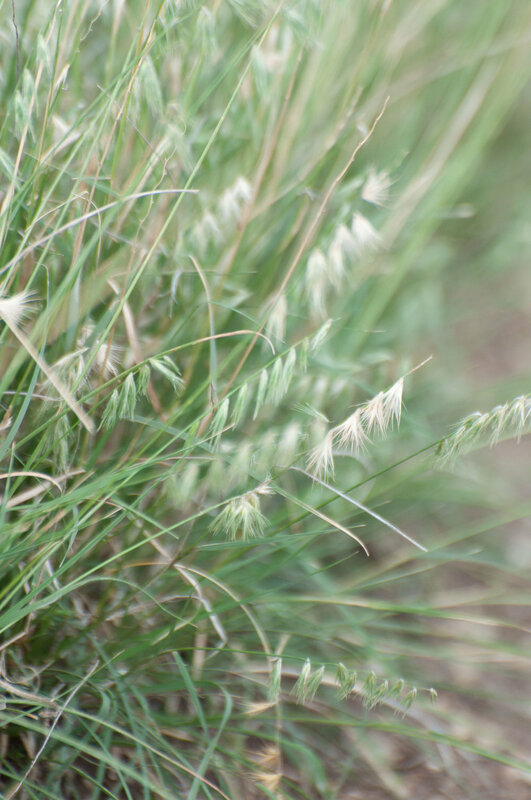 It is a native bunchgrass prized for its value to livestock and as excellent cover for upland game species such as quail, a hearty mix that can be used in rangeland seed mixes and conservation applications. They produce seed from May to November. Excellent quail habitat and highly desirable for livestock. Can also be used in conservation plantings, such as riparian buffers and filter strips. The Chaparral Hairy Grama is a blend of 4 collections from the Rio Grande Plains. The low-growing dense bunchgrass will persist on sand, sandy loam, clay, and clay loam soil types. It is compatible in plantings with other native species. 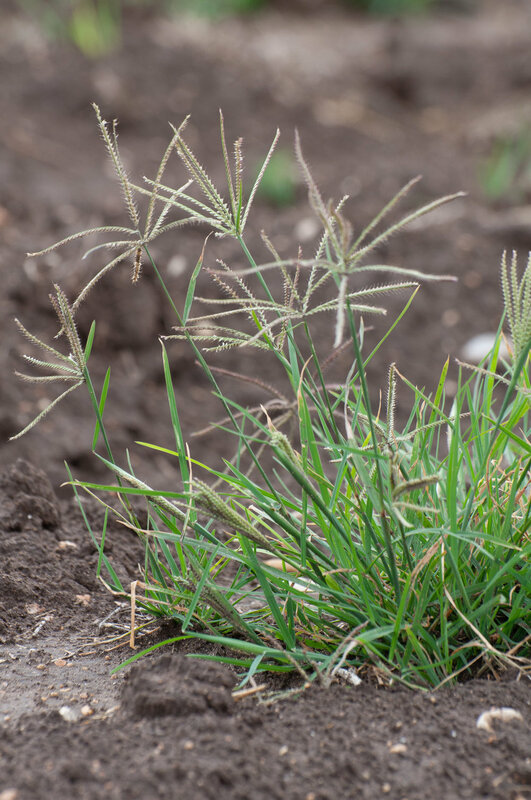 Hairy Grama’s fast seed production, establishment, and spreading habit make it an excellent planting choice for highly disturbed sites like highway rights of way or areas susceptible to erosion. It also has fair value as livestock forage. Fair forage value and excellent choice for right-of-way applications. The Falfurrias Big Sacaton was originally collected near the town of Falfurrias in Brooks County. It is tolerant of highly alkaline-saline soils and poorly drained areas, making it an excellent species for restoration, erosion control, and use as a vegetative barrier. It also provides cover for wildlife. It is a coarse, upright bunchgrass that can grow from 3 to 8 feet tall. Leaves width can range from 1 to 2 1/2 inches wide and can grow up to 1 foot long. The pale flowers of big sacaton form in stiff, upright clusters 1 to 2 feet long. Used for restoration of saline soils and as erosion control and vegetative barrier. The Hidalgo Multiflower False Rhodesgrass is a blend of 6 populations collected in Jim Wells, Webb, Medina, Jim Hogg, Wilson, and Hidalgo counties. It is a prolific seed producer. Its many seed heads and good germination qualities give it high potential as a restoration species. It can compete with introduced, non-native grasses, especially on sandy loam and sandy clay loam soils. Produces abundant forage. Recommended for use in upland wildlife plantings and for diversifying stands of invasive grasses. Kenedy Big bluestem originates from the Kenedy County area. It is useful as a pasture and hay grass, wildlife forage and cover, and restoration and erosion control. It is adapted to use in well-drained soils with low fertility characteristics, such as prairies. Additionally, native species grow deep root systems to endure drought and cold. The deep root systems also pull down water, thus reducing the amount of flooding during heavy rains, and channeling water to the underground aquifers and springs. Those same root systems help stabilize soil and reduce erosion. Ensuring a successful stand from planting is just as important. Native grasses have historically been tough getting started. They require patience and precise environmental cues to germinate, which is why we have focused our production efforts on growing local ecotype varieties. Plants have genetic variation across differing environments, yet are still the same species. One variety of little bluestem picked from the Rio Grande Valley might not do so well in the Permian Basin and vice versa. This is where the local ecotype varieties become beneficial. By picking varieties that have been genetically identified and researched to do well in your ecoregion, you are fine-tuning your project to ensure you get the very best from your planting effort. Douglass Kind Seeds is a producer of certified Texas Native plant varieties. Our varieties were locally sourced around Texas and grown in Texas. We are proud to work with the Texas Native Seeds project at the Caesar Kleberg Wildlife Research Institute, who has done immense research on where each variety will do best. We have been growing Texas Native varieties since 2009 and now produce over 30 selections. If you are interested in reseeding your property and want to use native species, please reach out to us. We have seed specialists who are experienced at creating custom mixes that will work for your specific location and purpose. Flowers in late September and October and spreads by seed and rhizomes. Cold and drought tolerant; a very palatable grass. It is a perennial grass which produces seed and also spreads vegetatively by stolons. The mature foliage height ranges from 1 to 3 feet tall.